“Forgotten Occupation: Life in the Syrian Golan after 50 Years of Israeli Occupation” is the title of a new book published this week by Al-Marsad, a Golan Heights based human rights organization. A press release by Al-Marsad, the only human rights organization based in the occupied Golan Heights, tells the story of the native Syrian population who continue to suffer after 50 years of occupation by Israel. “In ‘Forgotten Occupation: Life in the Syrian Golan after 50 Years of Israeli Occupation’, Al-Marsad gives a voice to the voiceless, with Syrians explaining in their own words how the occupation has affected their lives,” said the press release, according to WAFA. 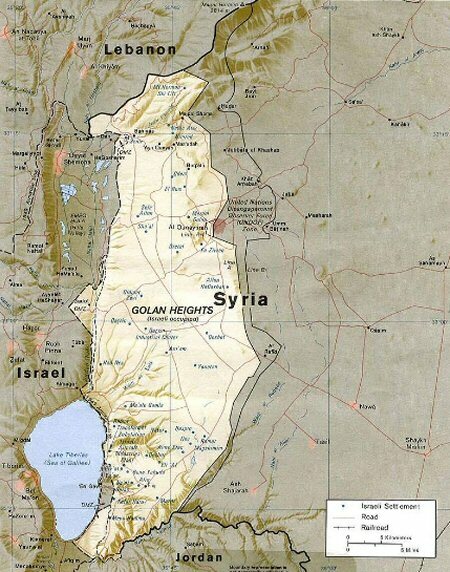 Syrians in the occupied Syrian Golan have now been separated for more than half a century from friends and family in the rest of Syria. The book describes how Syrians have witnessed the forcible transfer and displacement of friends and family; the destruction of homes; the appropriation of land and the arrival of a foreign occupier. It shows how Syrians have been treated as second-class citizens in their own country, and how they have fought to maintain their dignity and sense of identity, despite 50 years of oppression, it added. The book is divided into nine chapters, which describe different aspects of life under occupation, such as family separation, housing restrictions and the dangers of landmines. Each chapter consists of an interview with a Syrian, explaining how they have been affected by that particular issue, as well as a legal analysis by an international expert.